Toomevara’s fine venue was a fitting setting on Saturday last for an absorbing Harty Cup semi-final in which Our Lady’s Templemore did just about enough to quell the plucky efforts of Nenagh CBS. 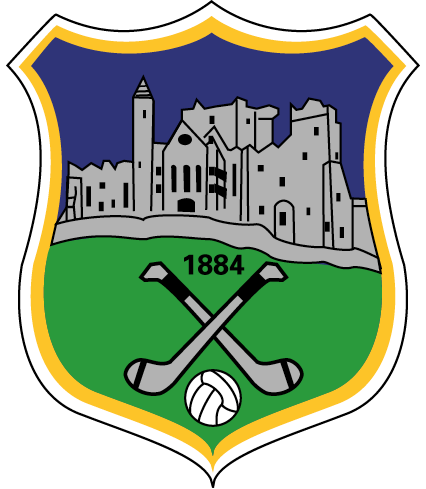 The prize for Templemore is a final meeting with St. Colman’s of Fermoy on February 18 at the Gaelic Grounds in Limerick. It’s a date to be circled on the calendar. Templemore were well fancied in this local derby but by the time John McCormack called a halt to hostilities they knew they’d been in a battle. Dogged and daring Nenagh just wouldn’t go quietly, so Our Lady’s had to go the distance to fully see it out. With around six minutes left to play a Mark Daniels’ free for Nenagh cut the lead to a very wobbly two points. It was all set for a grandstand finish with the underdogs defiantly refusing to buckle. However, two moments of magic then turned the screw for Templemore. Brian McGrath, back in his own half back line, made a super catch. He then worked the ball forward to midfielder Stevie Nolan who planted a sweet point from distance. A moment later, Lyndon Fairbrother won possession close to the stand sideline around the midfield area. With neither space nor time he somehow got away his shot, which soared between the sticks for the point of the match. Templemore were a secure four-up now with just a couple of minutes to play. In the remaining time Jerry Kelly and Ruairi Maher swapped points but there was no late salvation for a brave Nenagh side. I’d give Nenagh a lot of credit for their efforts in this game. Like Thurles in the previous match they gave it everything but were always chasing the hunt and just couldn’t find that little inspiration that would get them ahead. Goals win matches, they say, and like all clichés it’s a cliché because it contains a core truth. Conditions are heavy for hurling at this winter season and that means more compressed play with fewer openings. In the other semi-final, for example, Colman’s beat Midleton on a score of 1-8 to 0-7. In these circumstances goals can be critical and two incidents at Toomevara on Saturday indicated the fate of the day. Midway through the first half, with the teams locked at 0-5 each, Templemore found an opening. Brian McGrath’s initial shot was saved but in the follow-up Andrew Ormonde found the net. It was a crucial strike. At the other end as the game neared half time Nenagh raided menacingly and when Brian McLoughney fired in a shot that looked net-bound, goalie Eoin Collins made a spectacular save. The goal that was, and the one that wasn’t, helps tell the story of this game. Nenagh had the wind backing in the first half so they needed to be ahead at the interval. They weren’t. Instead that Templemore goal gave them a two-point cushion and they held a three to four point edge for most of the second half. Templemore had county minor, Jake Morris, policing half back but near the end they dispatched him to full forward in a final bid for a game-saving goal. But Templemore were closing off all approaches at that stage so there was to be no late heroics for Nenagh. For Templemore such a close call will help to dampen any over-confidence. Favouritism can be a heavy burden, especially for teenagers. On the plus side Our Lady’s have shown stern battling qualities in their last two games, which bodes well for their final effort. This was a game for big hearts and big efforts and in that regard Templemore weren’t found wanting. Their defence, led as usual by Paddy Cadell, was stubborn throughout. Stevie Nolan at midfield gave a stand-out display underlined by his three valuable points. The forwards found the going heavy this time though Andrew Ormonde’s 1-2 was certainly noteworthy and Jerry Kelly and Lyndon Fairbrother contributed well too. Brian McGrath was most effective foraging outfield and in defence; his free-taking was excellent. For Nenagh it was defeat with honour. Their defence certainly wasn’t lacking anything. Jerome Cahill was a noticeable presence at midfield but they just lacked that ace in attack who might have unlocked the game for what would have been an eye-catching win. A final word on the game: it wasn’t open and free-flowing given its intensity but there was a lot of quality on view nonetheless. High-fielding was a notable feature and there were remarkably few handling errors. Teenage hurling is in robust health in Tipperary at present as this Harty series has highlighted. Other aspects of our great association, however, are not so healthy, so the state of club fixtures remains a topical issue nationally. Locally it’s been a news item too so I note with interest an initiative down South which attempts to avoid the chaos that characterized that division last year. It will be recalled that the South had to nominate in U21 and minor hurling last year after local controversies left them well behind schedule. Damningly neither of their nominees subsequently won the divisional titles when the competitions were played off, though perhaps St. Mary’s county minor hurling win offered some element of vindication. It all portrayed the South division in an unflattering light and their recent adjourned convention saw a novel approach being adopted to try and improve matters for 2017. Carrick Swans’ well-regarded secretary, Sean O’Shea, was the man who did the leg-work on this initiative garnering background support from the clubs. The result is a signed club agreement with the divisional CCC, a sort of pledge or solemn undertaking by the clubs and CCC to work towards the smooth running of championships in 2017. An interesting aspect of the agreement is the introduction of a divisional fixtures booklet at the start of the season. This will include all draws, competition formats and most crucially the proposed dates for each round of the various championships up to an including divisional finals. Making those dates stick will be difficult but I suppose by naming dates you at least put a focus on the issue and concentrate minds. There’s also a pledge that the CCC will give proper notice of games to clubs and the procedure for the cancellation of games in exceptional cases only. This obviously relates back to some of last year’s controversies. In a sense a lot of the document is aspirational but at least by getting clubs to sign up to a commitment you are putting the onus on them, which hopefully will lead to more harmony. The South Board officers justifiably took a lot of flak last year for the fixture chaos but it should also be remembered that it was the actions of some clubs which contributed majorly to the mess. Both parties must share the blame. Anyway it’s a very worthy initiative and one can only commend those involved. We’ll watch with interest the first test of the new agreement when a club seeks a postponement and is reminded of its January pledge. It’s interesting that this has happened in the South at a time when the Club Players Association has been formed and all the talk is about solving the club fixtures programme nationwide. One disappointing aspect of the debate thus far is this concentration on the moving of the All Ireland dates as if that was the panacea to cure all club ills. It isn’t. In fact I suspect moving the All Irelands will make only a minor difference to the overall scheme of things. The vast majority of counties are out of the All Ireland race anyway in July or in some cases June. Yet most of them struggle to finish their championships for October deadlines. You can create as much space for the clubs as you wish but if the local organization is poor fixtures will still be a mess. Everyone recognises the problem of club fixtures but there is a huge reluctance to accept the measures that might improve matters. As an example some counties are lining up Congress motions seeking a reversal of the rule prohibiting U17s from playing senior competitions. This rule was introduced with the twin aims of trying to avoid burn-out in talented teenagers and also to assist club fixtures where a talented teenager couldn’t hold up a senior championship. Yet here we have immediate opposition building up. An emotional case will now be made based on the plight of small rural clubs who are denied the services of a talented player when their adult side is short of numbers. However, hard cases make for bad law and the greater good should surely over-ride such concerns. But will it?